So Many Stamps So Little Time: Your Next Stamp June Release Blog Hop! 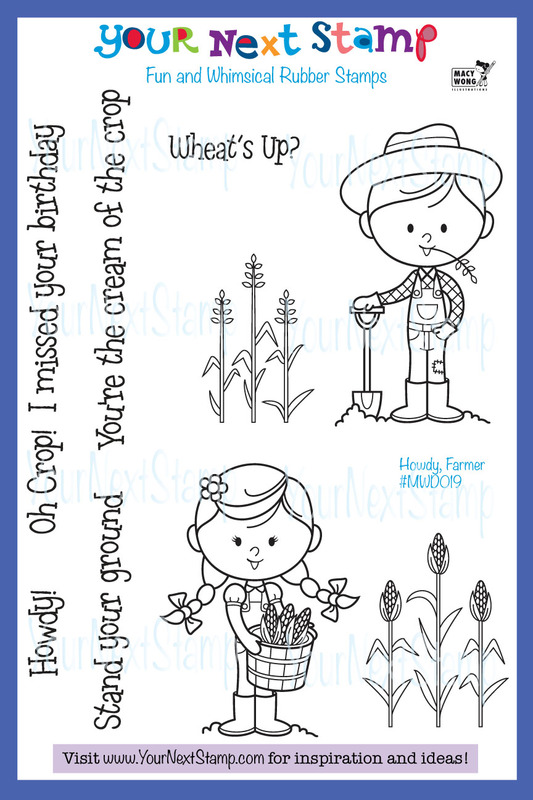 Your Next Stamp June Release Blog Hop! Hello and welcome to the YNS June Release Blog Hop! You should have arrived here from Maureen's blog! We are very excited to introduce lots of adorable stamps and dies to you today! And what's a blog hop without prizes? Leave a comment on all of the design team blogs by Monday June 24th 12AM for your chance to win these adorable stamp sets! 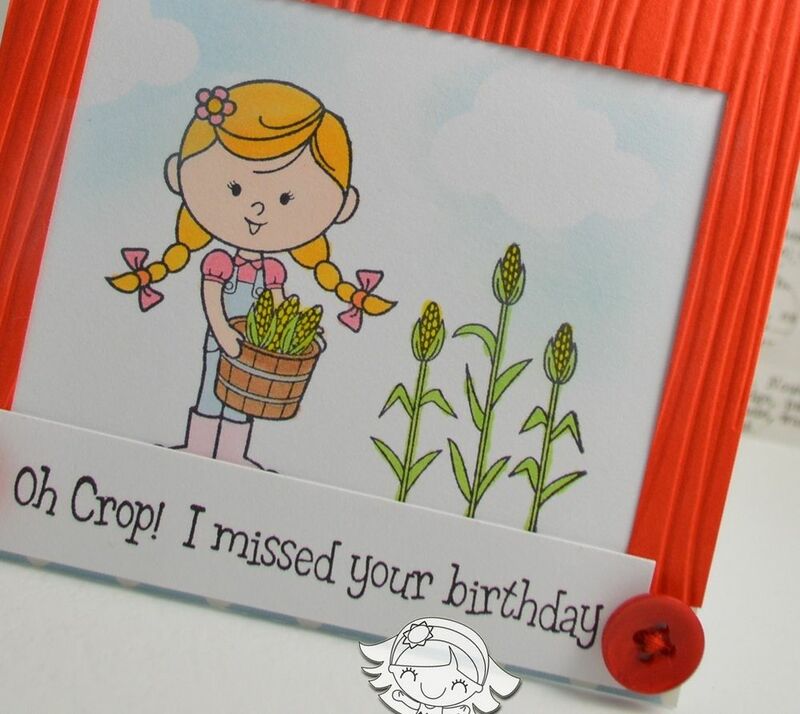 To create my card I used the oh so cute new release "Howdy Farmer". The sentiments on this set are so much fun! I created my barn from scratch, no template, just my own imagination, I hope you like it! I'm happy you stopped by and if you are just now joining us you can click HERE to start at the beginning. Your next stop on the hop is Kendra! What a fun card design, I love it!! Great job!! Great work on the Barn! thanks for the inspiration. such an adorable card, LOVE the barn! Love your design!!! So cute creating your barn that way! Fun sentiment to go with the image! Great card! 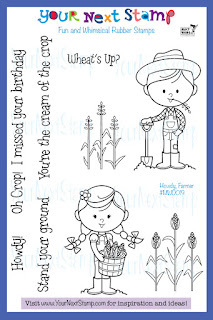 Fabulous, love the barn card design! What a great card. Love the barn shape! I love that barn. Great card. 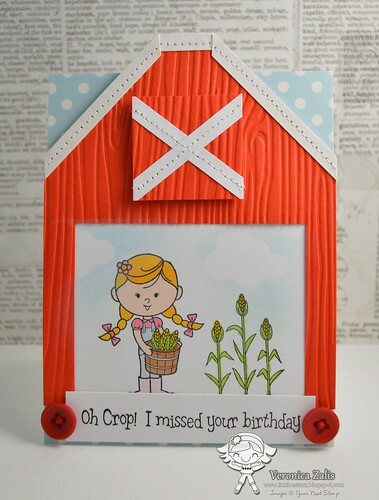 what a great idea to make the card a barn--way to think out of the box! I love the barn! These stamps are all so cute. Great card...love how you created the barn and embossed it. Love the barn you created! Fun card love the scene and the image. Great card. LOVE how you created the barn!!! Such an awesome idea! LOVE your barn Veronica! So creative!!! The Play Date Cafe Challenge # 186 - Happy 40th! A New Challenge and New Stamps! Fun Friday With YNS And A New Challenge Blog!